As an absolute minimum you should monitor your system to ensure it is performing as expected. If you are not monitoring your system then how do you know it is even working? It is astonishing how many systems we come across that aren’t even generating or are falling well below the performance level we would expect. Sometimes this can go unnoticed for many months resulting in a huge loss of revenue. A system that is down for one month in the summer could lose up to 15% of its expected annual income! A well-installed system will be fitted with monitoring hardware that sends out automated text or fault alerts when a fault arises. Your maintenance contractor can then respond quickly to rectify the fault and minimise any down time, reducing any potential loss of revenue. As a minimum, your solar PV expert should conduct a site inspection once a year. A yearly inspection is often a requirement to maintain your warranties. The inspection may include thermal imaging of main boards to detect faulty connections and thermal imaging of the PV panels to detect faulty cells. At this stage it may also be necessary to clean the panels and cut grass around a ground mounted system. A TUV study found that dusty panels could reduce yield by as much as 10%. Sadly there are many companies in the solar industry that continue to install sub-standard systems despite the introduction of MCS installer requirements. To the untrained eye it is difficult to know what a safely installed quality system should look like so it can be a good idea to have your existing system inspected by an experienced solar PV contractor to check that it is operating safely and effectively. Many businesses are unaware of their legal obligation to select a contractor that is suitably qualified to install and carry out any maintenance works on a solar PV system. The combination of electrical works and working at height on roof-mounted systems makes solar PV a high-risk industry. In the event of a Health and Safety related incident you could be held responsible if you have not adhered to HSE guidelines. 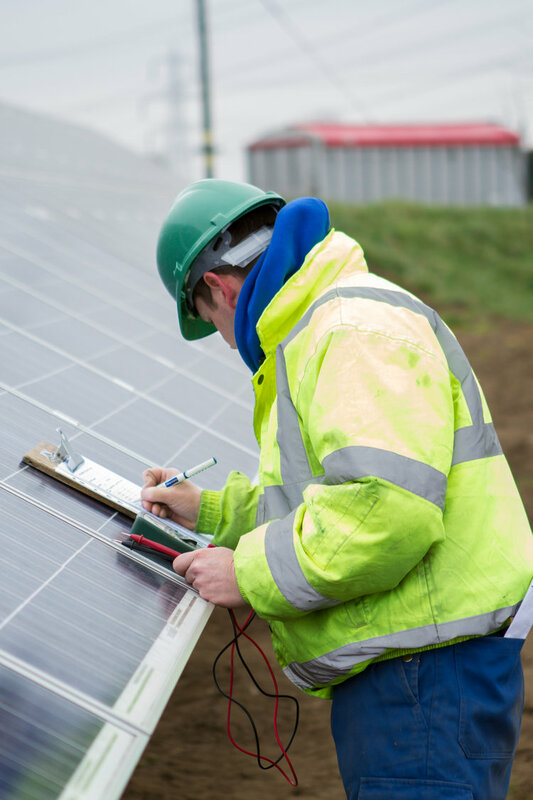 There are cases in the UK where both the installer and the client have been fined by HSE following an accident during a solar PV install, so it is vital that you check the credentials of your chosen contractor.